It's funny, I always excelled at maths over English yet my kids seem to be the total opposite, maybe that's where they take after their dad? However one this made one of my latest review offerings extremely apprpriate. 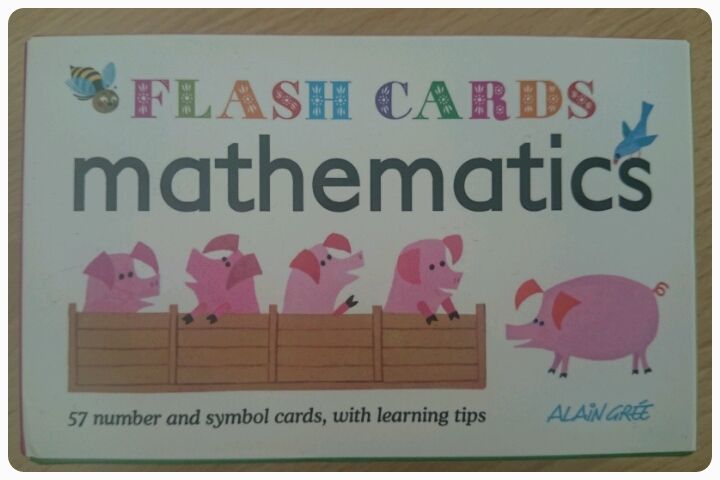 I was offered the chance to review a set of mathematics flash cards. This set is priced at £5.99 for 57 cards. 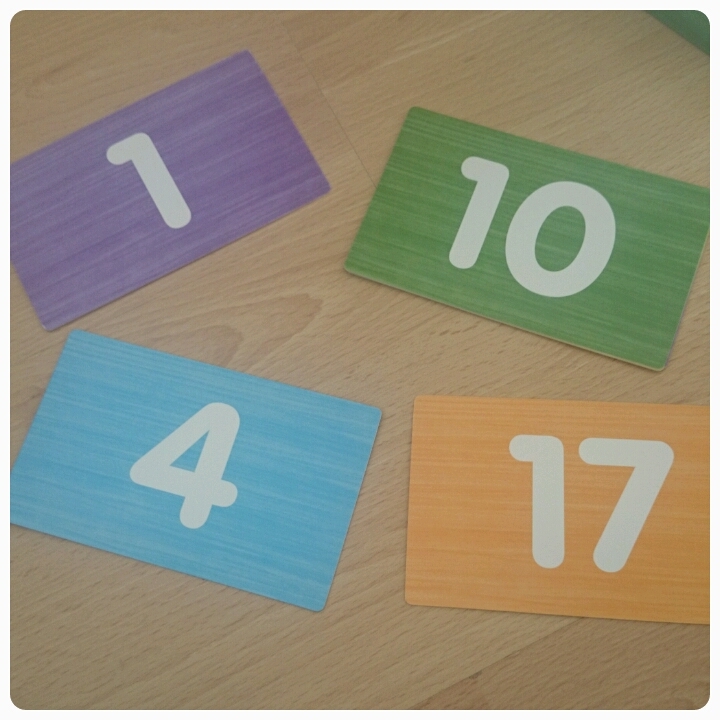 These cards aim to make learning about numbers fun rather than a daunting task. You get a variety of numbers going right up to 100 and symbols which include plus, minus, multiply and divide. The cards themselves are wonderfully eye catching, lots of vibrant colours, whilst the numbers and symbols stand out in brilliant white. 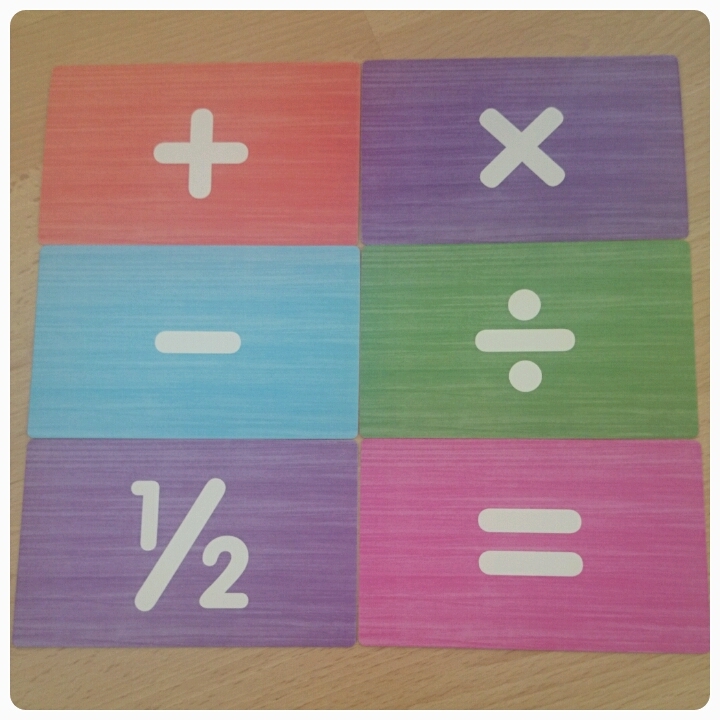 So infact these cards even double up as a way to help with learning colours too!! Designed for children aged 3 and over, they are perfect for whatever level your child is working at. 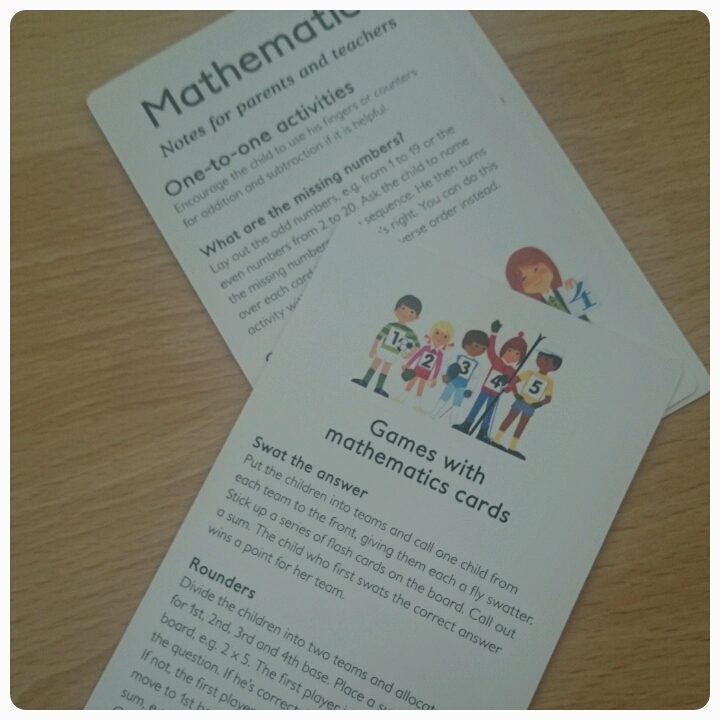 The pack even contains notes for parents with ideas on different games and activities you can work on together to reach certain goals and understanding. Putting the numbers in order, small to big or big to small. I found this set to be great value for money. Your child can sit and use them by themselves or you can create games together as a family, promoting learning through play, keeping things light hearted whilst gaining a love of numbers. They've helped my 3 eldest children in different ways. 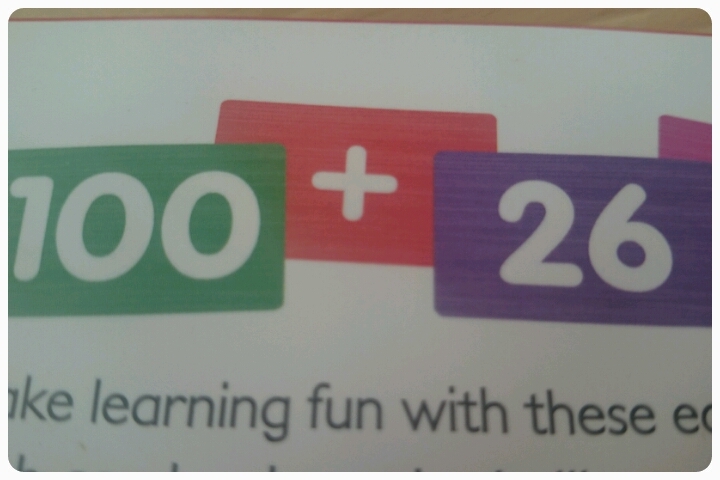 My 5 year old has got a better grasp of number recognition and has started doing basic sums. My 7 year old has really improved with her multiplication and division sums and my 9 year old has used the cards to increase the speed in which she can answer mathematical questions. I'd definitely recommend these flash cards to others including friends and family. A small price to pay when helping with your child's education. Disclaimer : I was sent these flash cards FOC for reviewing purposes however all thoughts and opinions are my own.